Recognition is Rewarding! 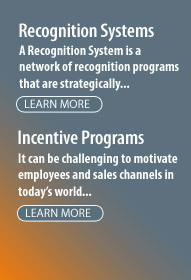 Click here to visit our new website on reward recognition. Check out our extensive promotional product library. Click link to open a new window. Reports, whites pages, etc., available for download. Review recent client success stories.